Just few days ago, rapper Noti Flow engaged followers, questioning their preferred gender for her baby, however, she has conditions to be met first. In an exclusive interview in regard to her Instagram post, there is more to it than meets the eye. Yes, she affirmed that the two rappers are now ´a thing´. However, Noti reveals she is not yet ready to mother a kid, one until Noti and Mustapha achieve assured financial stability. It depends when finances allow because babies are a lot of work. For her, independence and financial stability are key factors before she steps into motherhood. Secondly, she wants to first walk down the isle before she can hear the cry of her baby. She detests having babies born out of wedlock. Noti Flow shares that the two have actually raised the subject of marriage couple of times, and Mustapha, does intend to slide the ring into her finger. The break up aftermath After witnessing such a filthy break-up, how did the two actually get into good terms? Colonel Mustapha first reached out and revived the contact between the duo. What about him had changed, for her to take him back? The rapper respected her enough. Furthermore, he was single at the time and her was no longer playing around. What about Mustapha blew her away? Colonel being of Tanzanian heritage, he is hands-on on tips on how to romantically treat a lady. Mustapha was ever there for her, even when she called late into the night, he would not miss her call. Further revelations are that Noti truly loves the rapper even after their rugged past. Noti highlights that hopefully, the relationship will now grow and Mustapha will become a better man than he was in the past. 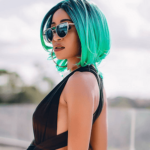 The post ¨Babies are a lot of work¨ rapper Noti Flow articulates just days after baby predictions appeared first on Ghafla! Kenya.